In honor of breast cancer awareness month, the new Ohio Valley Breast Center opened its doors in Springfield, Ohio. More than 450 patients have since received life-saving mammograms. While the number of patients is impressive, it’s the buzz surrounding the overall experience that’s catching patient’s attention. “I have talked to patients who said they wanted to come back just because the space felt so comforting,” said Steve Eisentrager, president of Ohio Valley Surgical Hospital (OVSH). The waiting room for the new breast center is separate from the rest of OVSH. 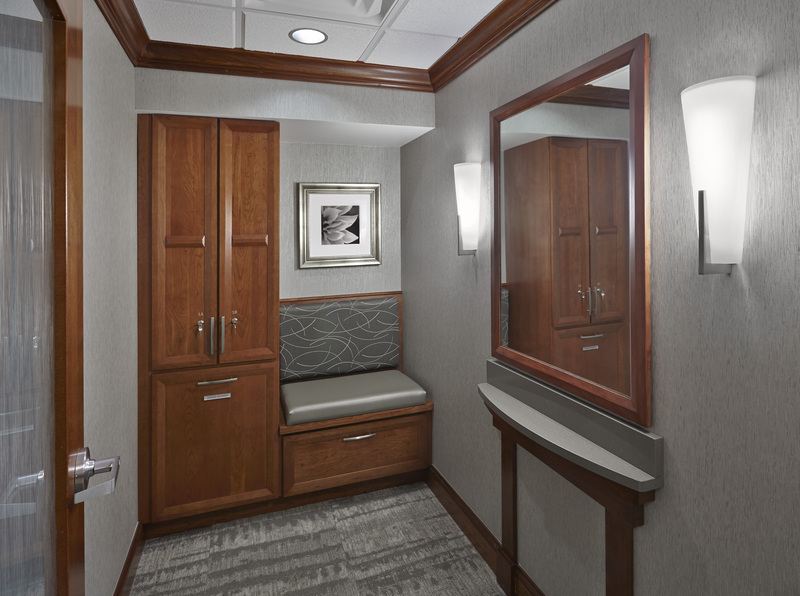 Patients are given private and nicely decorated dressing rooms, where they feel a real sense of privacy. 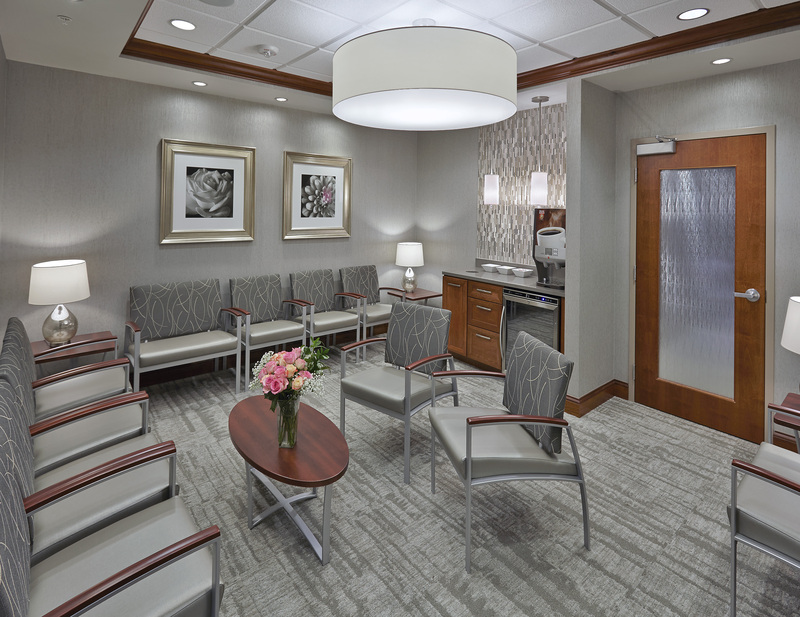 With plush dressing rooms, wall vanities, and trendy décor, the new Ohio Valley Breast Center looks and feels more like a spa than a medical center. That’s because the space was designed with hospitality in mind, bringing a unique experience to residents in Springfield. Our team of architects and designers worked closely with hospital officials to come up with a design that creates a comfortable and stress-free experience for the patient. The design is also versatile, allowing for future developments. 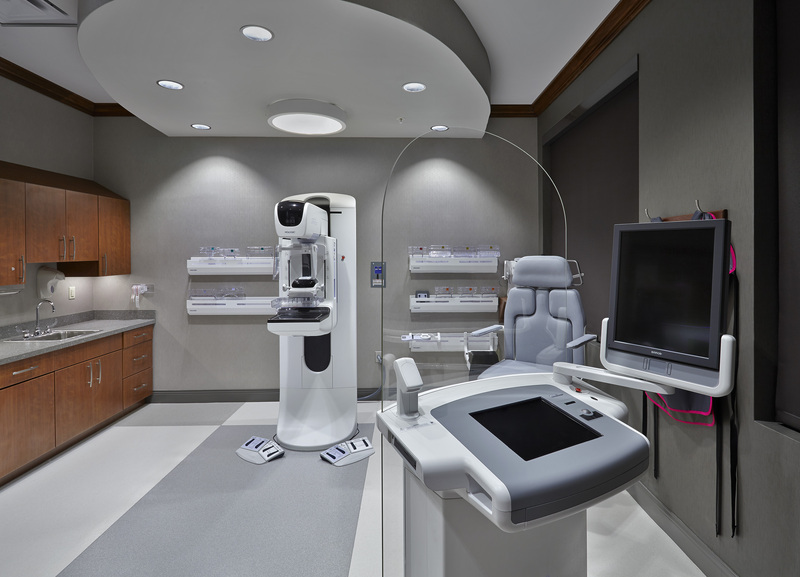 While patients are greeted with comfort, they’re also greeted with the latest in breast health technology. The new facility includes a whole breast ultrasound and 3D mammogram technology, which helps doctors detect cancer more quickly. They also have new patient care services, adding a breast care coordinator, as well as a team of radiologists to offer more options for treatment. For more information on the breast center, click here.